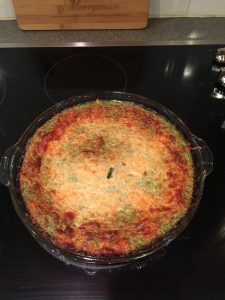 It has been a while since I have posted a recipe for Meatless Monday. This is a “global movement, created in 2003 by Sid Lerner in association with Johns Hopkins Bloomberg School of Public Health”. 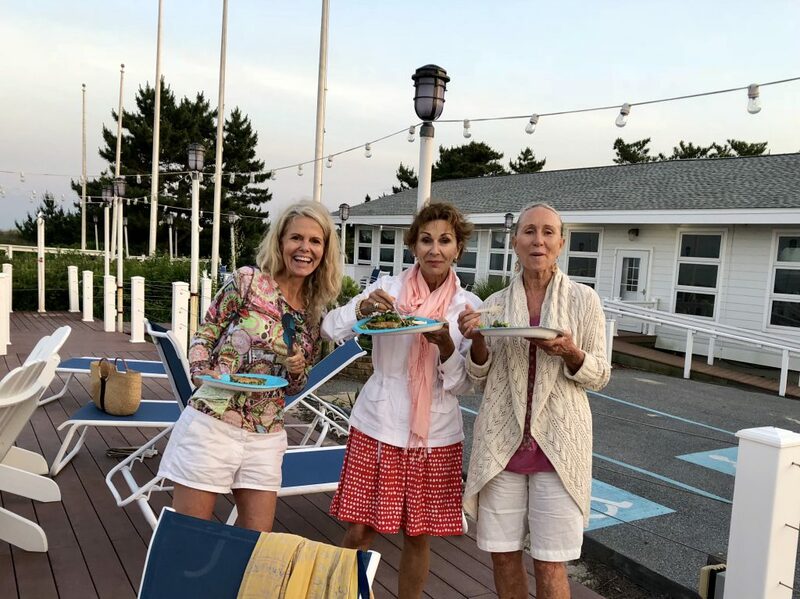 It is a way to eat just one day a week free of meat….go vegetarian for just that one day will help in our overall health. 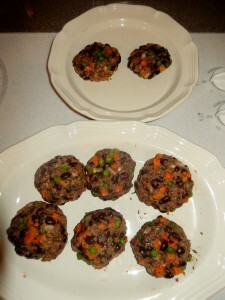 For more information, and recipes, as well, please visit http://www.meatlessmonday.com. 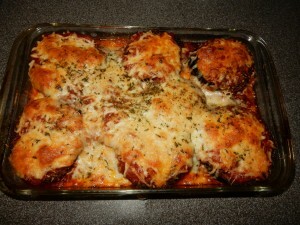 I had a couple of good size eggplants and decided that today, being Monday, I would use them to make Eggplant Parm. 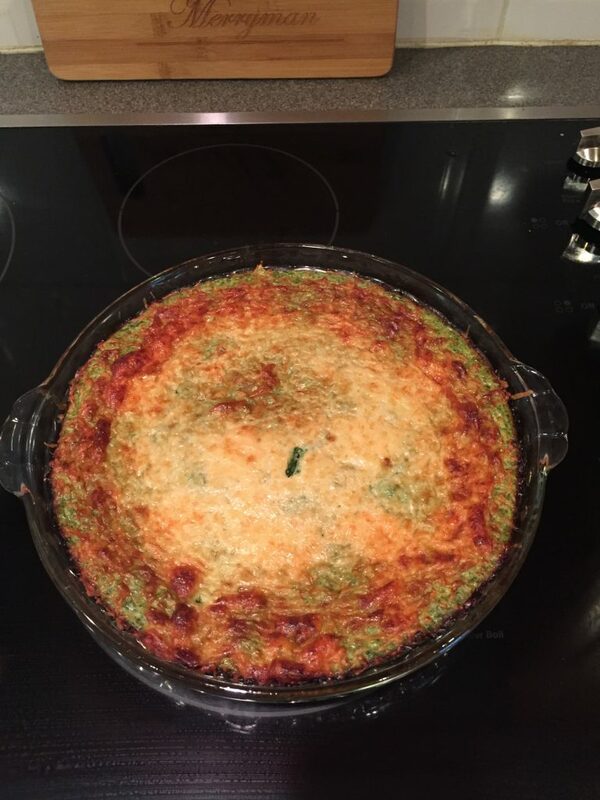 I have made this dish so many times, and every time I either add something or delete something. 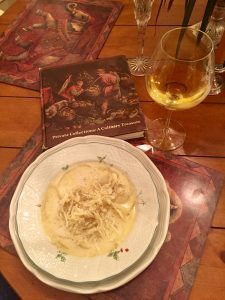 I always make recipes my own. So should you, it is fun to experiment. 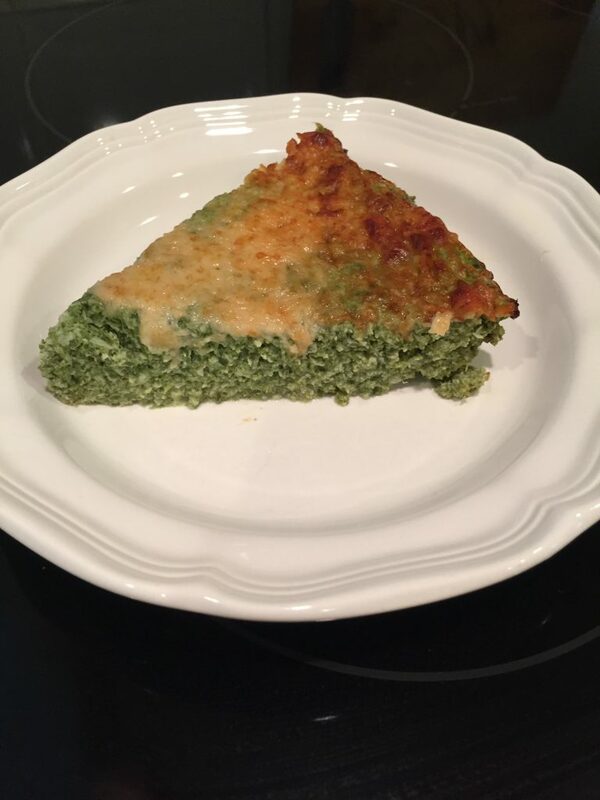 Mozzarella Cheese (I used the already shredded cheese, but you can shred your own if you are eating gluten free. Make sure to read the labels. 1/2 cup Parmesan Cheese. I grated it myself, which is great if you are eating gluten free. The packaged cheeses already grated might have an additive that contains gluten. Slightly grease a 9 x 13 baking dish. Put about a cup of the spaghetti sauce and spread. Cut the eggplant in round slices. I do not peel the eggplant. I think the skin looks great and it is where your vitamins are, as well. In a shallow bowl cracked the eggs and mix. In a plate put the Italian breadcrumbs. 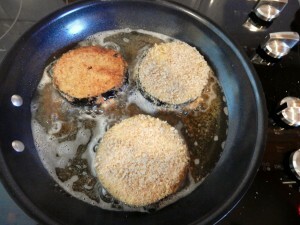 In a large frying pan put enough vegetable oil in order to fry the eggplant. It does not have to be too deep. 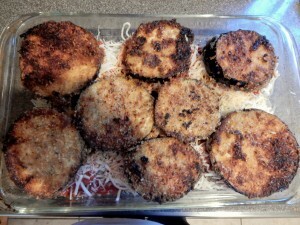 Dip the eggplants in the eggs and then dip in the Italian breadcrumbs. Fry them until lightly brown. I usually get them out and let them sit on paper towels, but you can just transfer them directly to the prepared baking dish, as well. Arrange them on the baking dish as you wish. You will be making two layers. 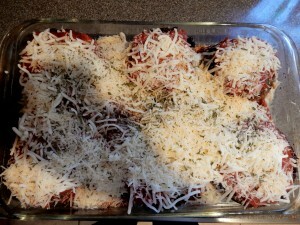 Spread spaghetti sauce on them and also half of the mozzarella. 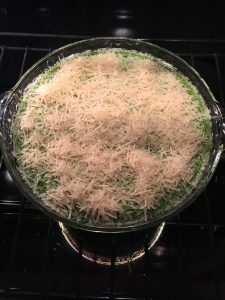 Repeat the process and at this point you will also sprinkle the Parmesan cheese on top. 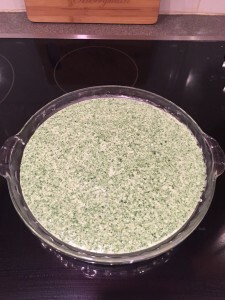 Sprinkle some Basil for color too. Then to the oven. 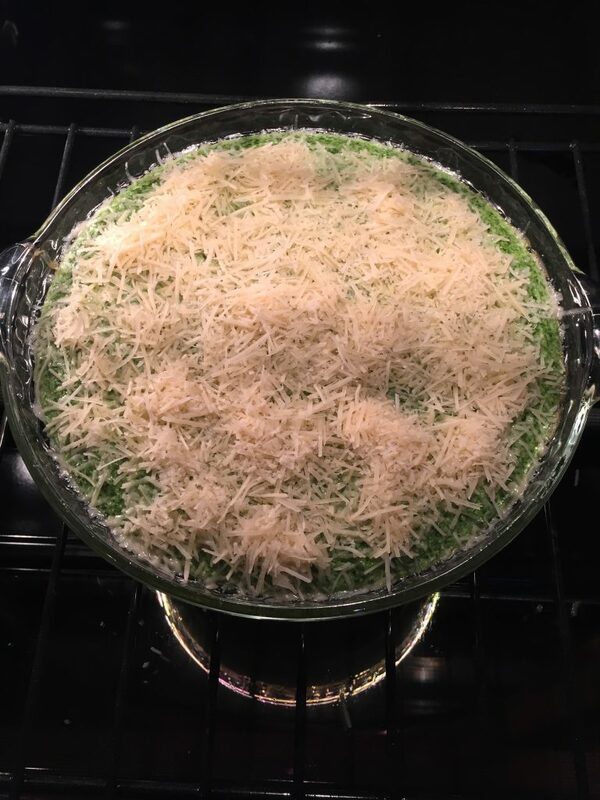 Bake for about 45 minutes or so until they look like this……. This dish has so much color….it should also be the center of attention on your plate. A green salad or green veggie is all you need. 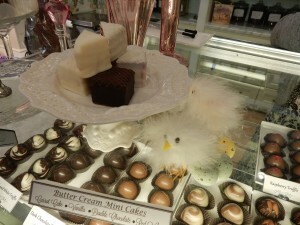 For dessert, well, it is that time of the year when you just have to think that summer is around the corner but if you feel like living dangerously, well, go ahead and maybe go visit Edie Bees on Second Street in Lewes, Delaware, and grab something sweet and sinfully delish. 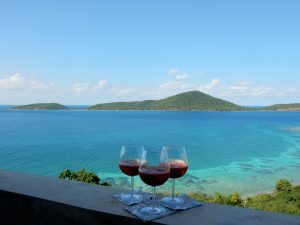 Unfotunately, this past week-end was the last one. Next year around June they will open once again. 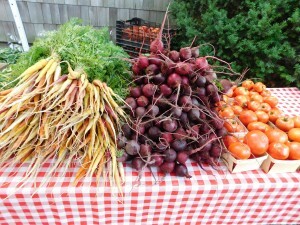 The vegetables looked gorgeous and it is a season for turnips. They are wonderful when roasted. Their apples were from T.S. 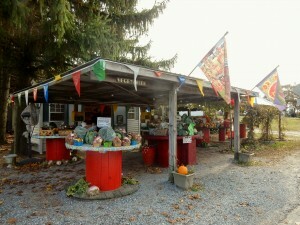 Farms in Bridgeville. 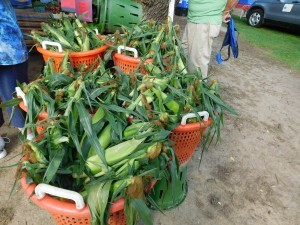 Brittingham’s Produce is picked daily. 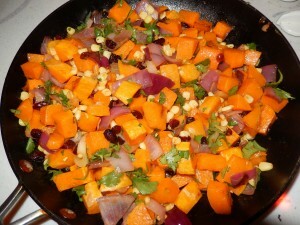 For a great recipe for Roasted Butternut Squash with Corn, Red Onions & Cranberries please click on May 15, 2015 on this website, AboutMyBeaches. Just first click on May of 2015 and scroll down to the 15th. It is great. 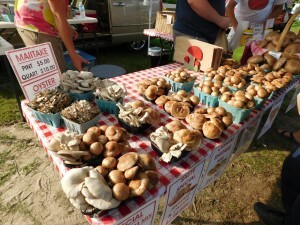 Definitely, farmers markets are not just for chefs anymore. 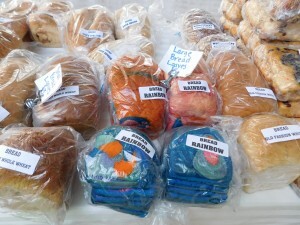 In come the foodies who have a very discriminating palate. Nothing but the best for them. 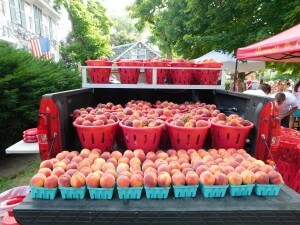 Getting up close and personal, the farmers love to show off their produce, so please ask questions!! My friend, Cindi, drove all the way from Ocean City, Maryland, and Brenda Jones is a local. 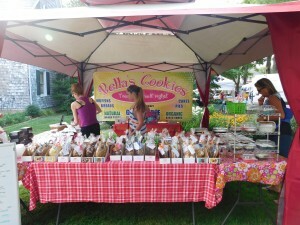 You will find Brenda at the Historic Lewes Farmers Market most every Saturday in the a.m. 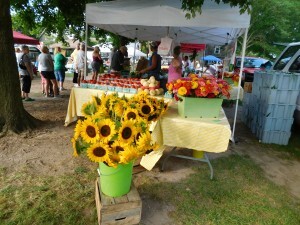 The market opens at 8 a.m. until Noon. 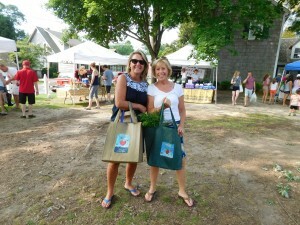 Historic Lewes Farmers Market is celebrating 10 years in the community. 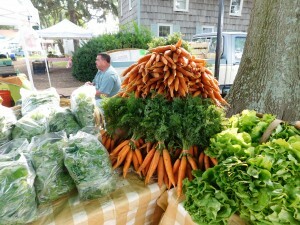 During the summer season, you can find the market at the Lewes Historical Society Complex, located between Second & Third Streets at Shipcarpenter St. 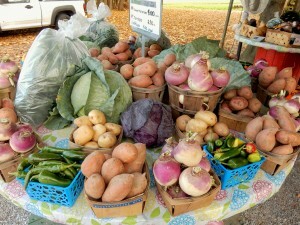 Please note that on August 1st the market will take place at Shields Elementary School Parking Lot at 910 Shields St. Fall hours will be 10/3 – 11/21 from 9 a.m. until Noon at Shields Elementary Parking Lot. No pets are allowed, so leave Fido at home for a few hours. 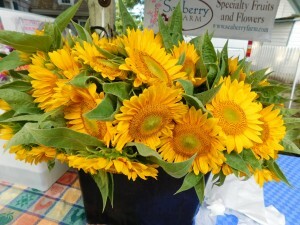 Please visit the website at http://www.historiclewesmarket.org. 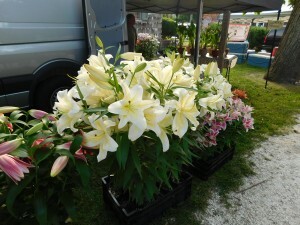 The white tents are scattered throughtout the Historical Complex, a beautiful place to be on Saturday morning. 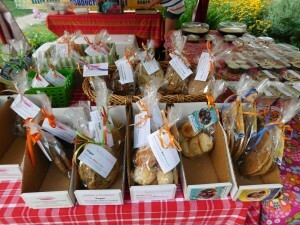 To find out the vendors that come to this market, please visit http://www.historiclewesfarmersmarket.org/market-vendors. 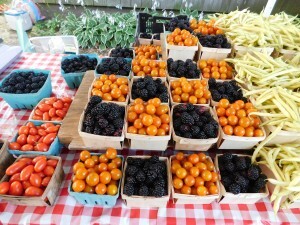 Celebrate Summer’s Bounty by Growing Local, Buying Local and Eating Local!! 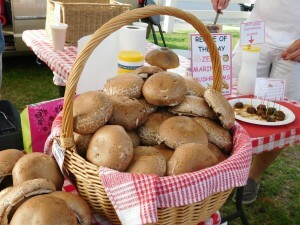 Please open the Historic Lewes Farmers Market website to get some of their delicious recipes…http://www.historiclewesfarmersmarket.org/recipes. 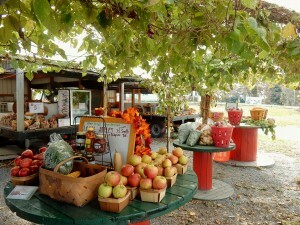 Markets are rising in popularity because consumers can get fresh produce directly from the farm. The pick of the day, shall we say. Learning about ground cherries. Had not seen them before. 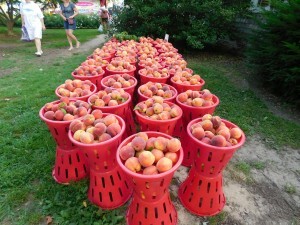 They have a papery husk, which encloses the small fruit. The fruit is small and orange. 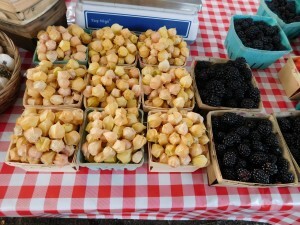 Ground cherries are part of the same family as the tomatillos. 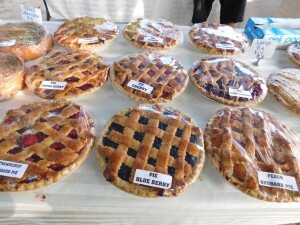 They are good in pies and they are also good with salsa and in a salad. 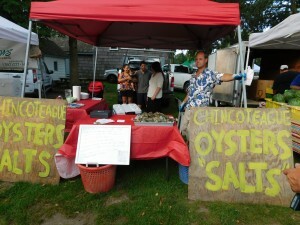 Never too early to start your day with fresh shucked oysters!! 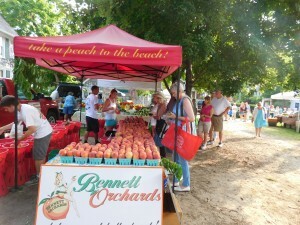 Peach Season and Bennett’s tent was full of beautiful peaches. The long line of customers waited patiently but the line went fast. The gates are beginning to open…..Summer 2015 officially opens next week. Yikes….a new way of trying to figure out when to go here or there. 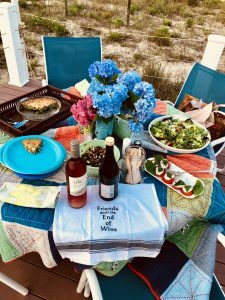 Welcome to the Delaware Beaches!! 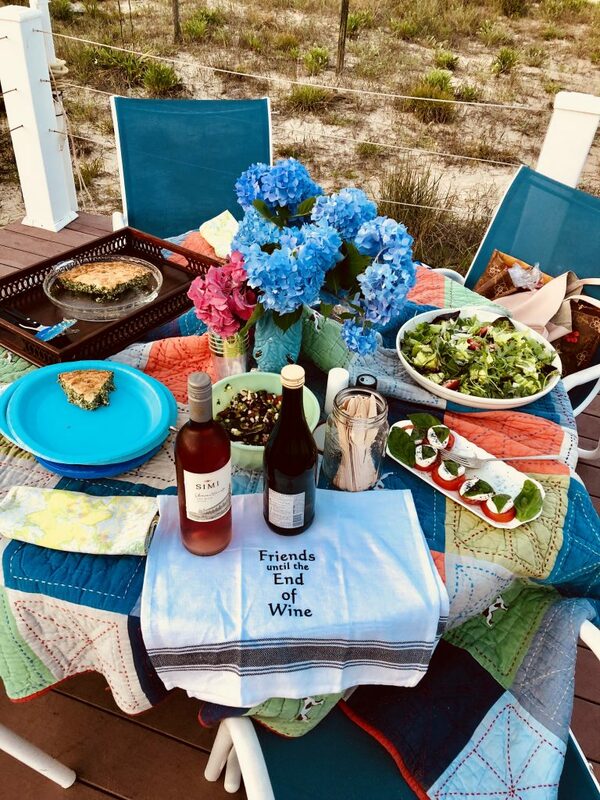 Even though my recipes can, at any time, be begged, borrowed, or stolen….this recipe was given to me as a gift by my friend, Jody. 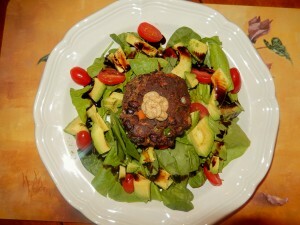 It is totally delish and you can serve it by itself for any meatless day; with a salad for a complete veggie meal. Or, just let it sit by the side of beef, chicken or fish. The main ingredient is a butternut squash. 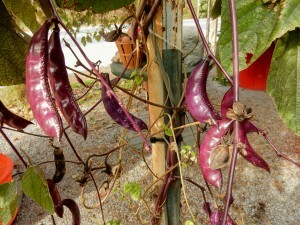 This fruit/vegetable is full of Vitamin C, A, & E. It is also a good source of manganese, magnesium and potassium. 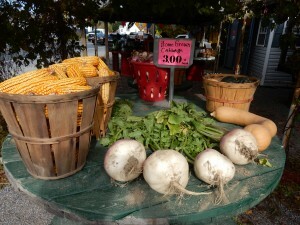 Butternut squash can be roasted, toasted, pureed for soups, or mashed and used in casseroles, breads and muffins. 2 new sauces for this recipe, and they are easily found at Peppers on 176 Coastal Hwy. #1 in Lewes, Delaware. The Garlic Pepper Sauce made out of aged red peppers and garlic and the Peri Peri Pepper Sauce which is a blend of Moroccan flavors. 2 Tsps. 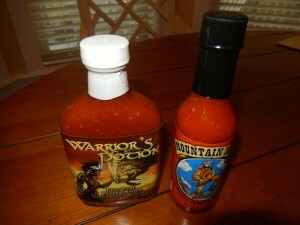 Garlic Pepper Sauce (Mountain Man) Taste it and add more….I did. 2 Tsps. Peri Peri Pepper Sauce (Warrior’s Potion) Taste it and add more…I did. 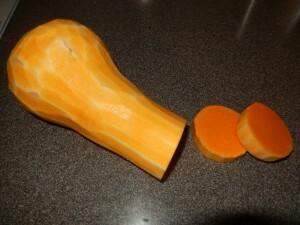 Chop the peeled butternut squash into circular disc pieces then cut in cubes from the discs. Lightly toss the pieces in olive oil or in coconut oil and a bit of salt. The smaller the pieces are, the faster they will roast in the oven. Put on a baking tray lined with parchment paper. Bake in batches for about 10 minutes. You want them tender but not mushy. Heat the olive oil in a frying pan and saute onion. Add corn, hot sauces, salt, and cayenne to the onions and stir for a minute or so. Then add cranberries. 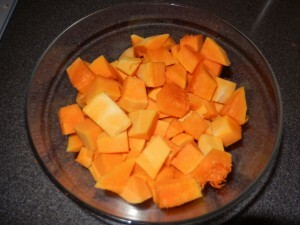 Add the roasted squash cubes to the mixture and stir for a few minutes to allow the flavors to blend. Then add the chopped cilantro. 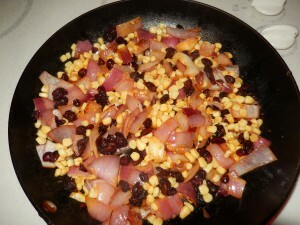 This recipe has a very good combination of flavors….a little heat, the sweetness of cranberries, and cilantro. As usual, make it your own. Enjoy. Talk to you later. I don’t even know when I decided to put recipes for Meatless Monday. Some Mondays I do not follow this global movement. 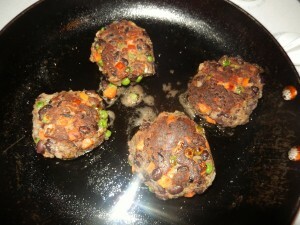 But others, like tonight, made me want to construct a Bean Burger….The recipe is stolen, adding my own twist. 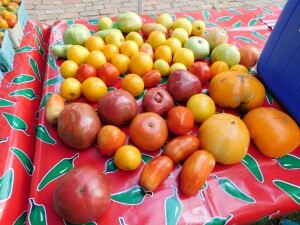 Meatless Monday started in 2003, launched in association with the Johns Hopkins Bloomberg School of Public Health. It has been catching on. The movement is active in about 36 countries. Every nation brings its uniqueness…culture, customs, and cuisine to the table in meat free dishes. To learn more, please visit http://www.meatlessmonday.com. Monday is the chosen day because we see it as the beginning of the week. 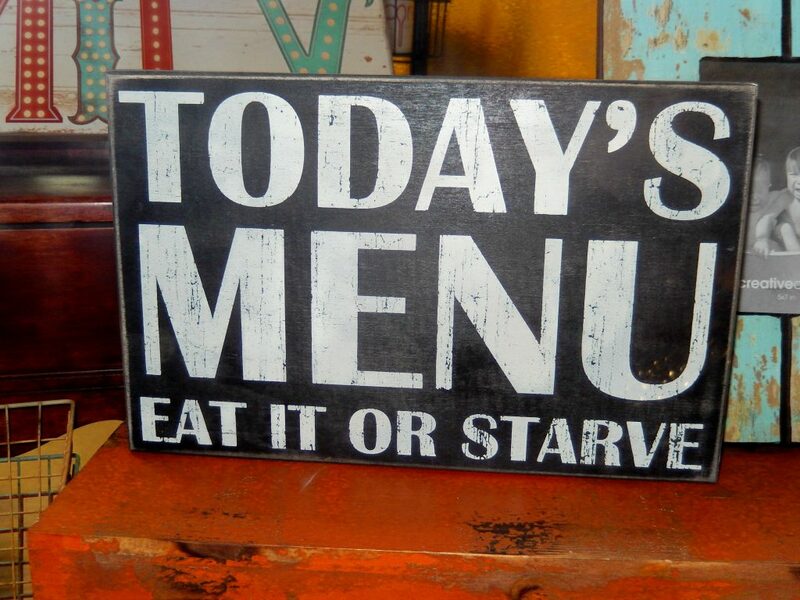 I get it, I get it….I always start my diets on Monday. It is a fresh start. Yeah, and at times is downhill from Monday on. This recipe is so easy. A little bit of this and a little bit of that. I am sure you can make it your own, as well. 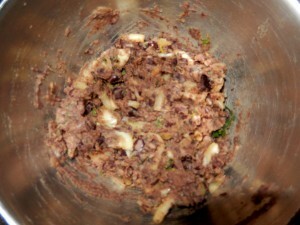 Puree 1 can beans, onion, parsley, garlic, cumin, salt, and pepper in a food processor until smooth. Mine looks a little chunky because I do not own a food processor. The blender was a pain, but I did it, somewhat. 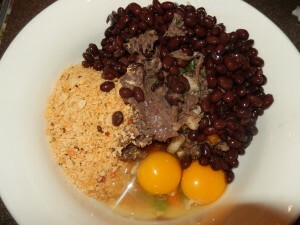 To the burger mixture, add the other can of beans, the peas and carrots, the panko and the eggs. Mix to combine. In the meantime form the burger patties. Place them in two batches in the skillet and cook until browned. About 4 minutes on each side. 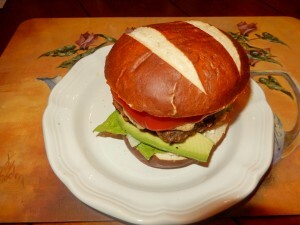 Serve on rolls….I chose this Pretzel Roll. Add lettuce, tomato, ketchup, mustard and avocado. Or serve on a salad if you are not eating carbs.